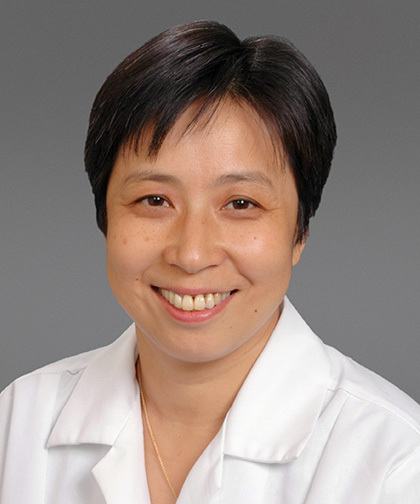 Debra H. Pan, MD, MS, is an Attending Physician in the Division of Gastroenterology, Hepatology, and Nutrition at Children’s Hospital at Montefiore (CHAM) and an Associate Professor of Pediatrics at our Albert Einstein College of Medicine. Her clinical focus is on pediatric gastrointestinal and liver conditions such as inflammatory bowel disease, acid reflux, Helicobacter pylori gastritis, tube feeding, endoscopy, cholestasis, viral hepatitis, autoimmune hepatitis, and liver transplant. A graduate from Soochow University School of Medicine in China in 1983, Dr. Pan received her Master of Science in Cardiac Electrophysiology from the same institute in 1989. From 1991 to 2000, she completed a postdoctoral research fellowship in Pharmacology and Toxicology at Michigan State University for 2 years and then continued gastrointestinal research at Columbia University. She completed her Pediatric residency at Long Island College Hospital in 2003, and her Pediatric Gastroenterology and Nutrition fellowship at Mount Sinai Hospital in New York City in 2005. Dr. Pan’s recent research focuses on the treatment outcomes of Helicobacter pylori infection and the natural history of the hepatitis B virus infection. Her work has been published in numerous peer-reviewed journals, books and review articles, and she is also an active journal reviewer for multiple journals. Dr. Pan is a member of leading professional societies including North American Society for Pediatric Gastroenterology, Hepatology and Nutrition (NASPGHAN), and the American Association for the Study of Liver Diseases. She is board certified by the American Board of Pediatrics in both General Pediatrics and Pediatric Gastroenterology and Nutrition.